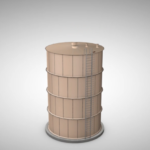 The most versatile liquid storage tank available. Proven glass-fused-to-steel technology - impermeable to liquids and gases. Offers GREAT LIFETIME VALUE. 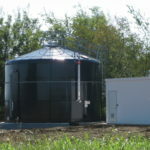 Proven quality at a low cost - the industry standard in liquid storage solutions. With a vast quantity of installs around the world, TecTanks have a demonstrated track record you can trust. High quality epoxy coating available. Total Dynamic Storage is a solution that helps ensure a reliable supply of water from your water system. It optimizes water flow and storage to meet changing daily water system demands and provide constant water pressure. 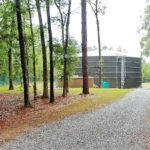 Offering many options in a variety of shapes and sizes, Southeastern Tank will work with you, and your budget, to find the liquid storage solution that best suits your needs. 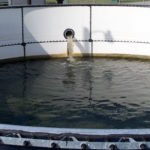 We work with municipalities, utilities, engineers, and industrial applications to provide a solution that works—from storing potable water to harmful chemical by-products. 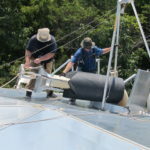 Let us help you choose the tank solution that is right for you.